Prochem's High performance environmentally safe products with the latest eco surfactant formulations and natural lemongrass, eucalyptus and tea tree signature herbal fragrance. 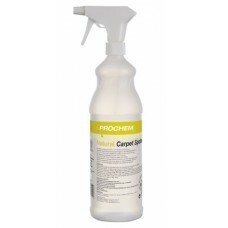 Prochem Natural Carpet Spotter 1L spray E343-01 OFFER! A neutral pH spot cleaner for removing a wide variety of spo..